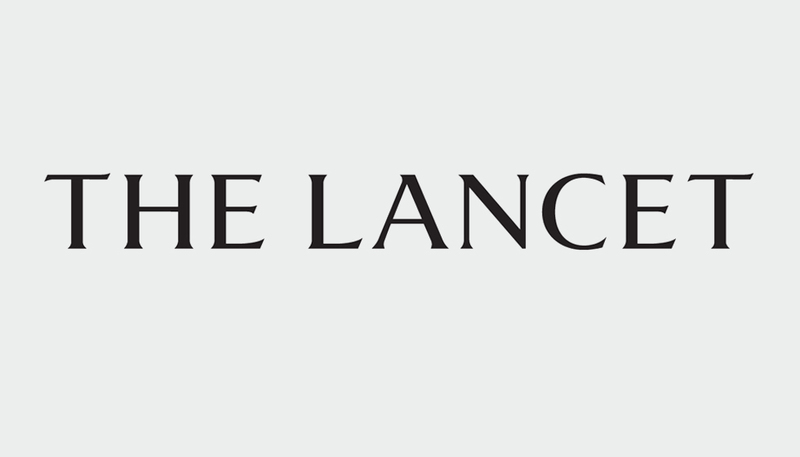 The Lancet has been the voice of the professional medical community since 1823 and had remained untouched and undesigned since then. With the advent of digital, the publication was showing signs of age and was struggling to keep up with it's competitors. The brief was multi-faceted. 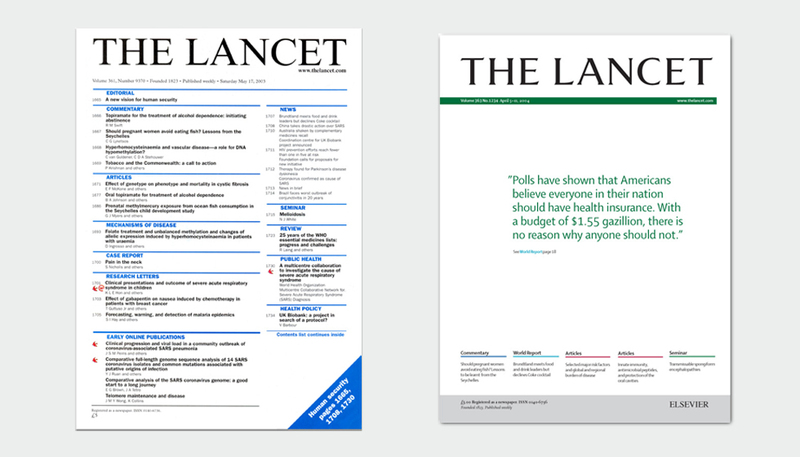 Not only did the journal need a face lift, but we were also tasked with redesigning its website and specialist journals and providing a cohesive look to all The Lancet's events and communication. Simplicity and versatility was the key to the redesign. Drawing on the fact that the magazine is the most quoted magazine ever, we placed a key quote from the publication on every week's magazine cover - front and centre. 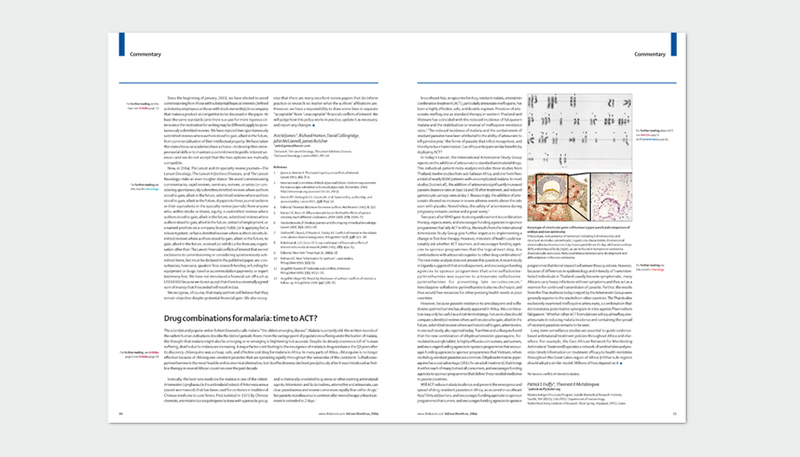 Taking heavy volumes of medical text and references and establishing a clear navigable structure to the previously unwieldy publication, cross referencing to the new online edition and creating an information architecture throughout the publication was key to the task. 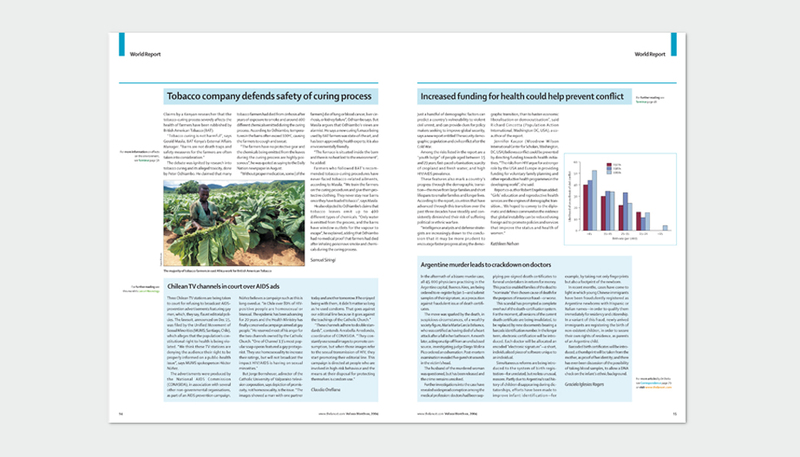 Then began the task of formatting the document, establishing the guidelines and handing them over to an eager production team at The Lancet. 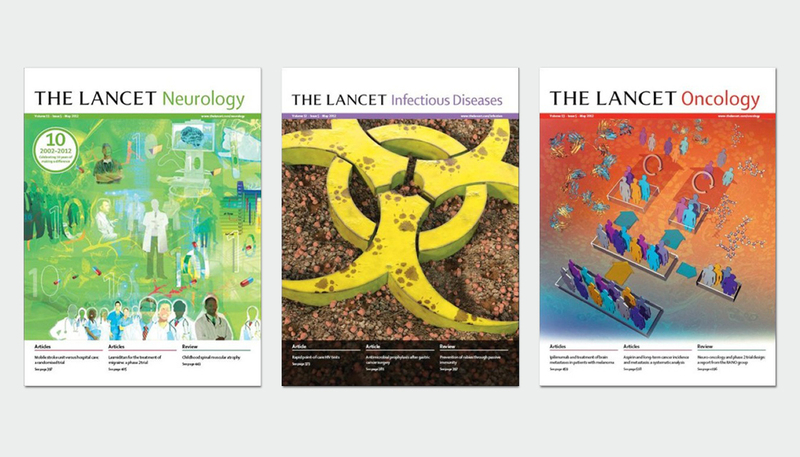 Finally, rolling out the redesigned format to the specialty journals Infections Diseases, Neurology and Oncology. 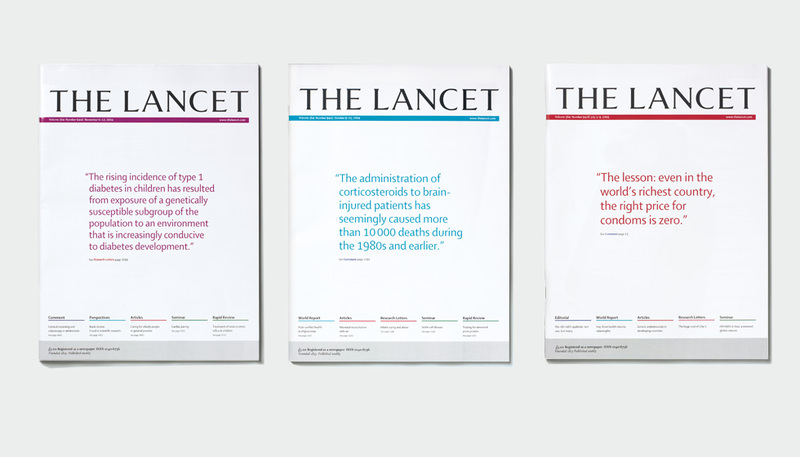 Following the redesign, The Lancet saw user numbers rise 15% with overall online revenues up 30% year on year.